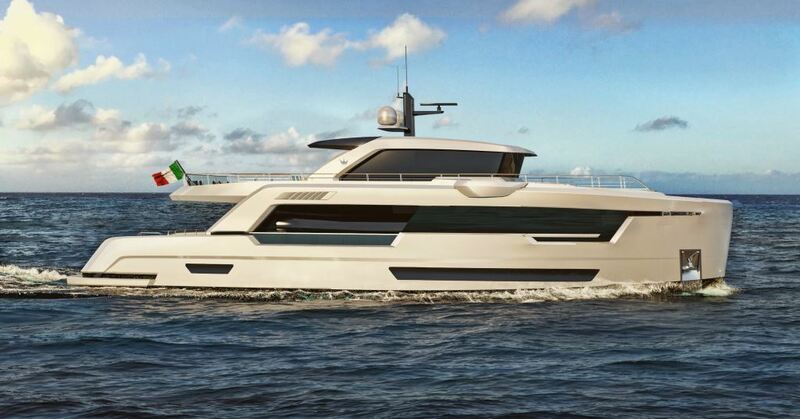 Ocean King of Chioggia near Venice has announced a new 88 model in its Ducale series of Ocean King Explorers. Developed by the VYD Studio of Venice, the Ducale 88 offers megayacht finishes and styling whilst offering a more practical at-sea solution derived from the commercial shipping field. 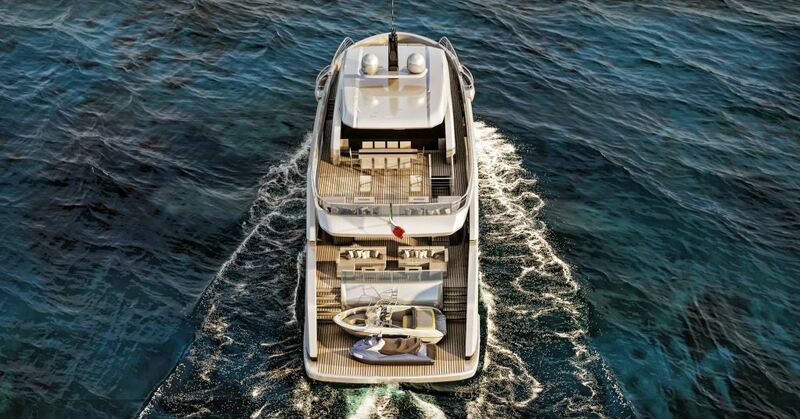 Paolo Dose of VYD Studio says of the Ducale 88 “this yacht offers a lot of space. 5 double staterooms including a full-beam master suite on the main deck, and generous crew accommodation for 4 can be accommodated in the 185 square-metre interior. The 160 square-metre of external deck area allows for separate gathering areas for different parts of the owner’s party. Some can be on the aft deck and enjoying the aft bathing platform water access and others can be on the upper deck fore or aft areas. 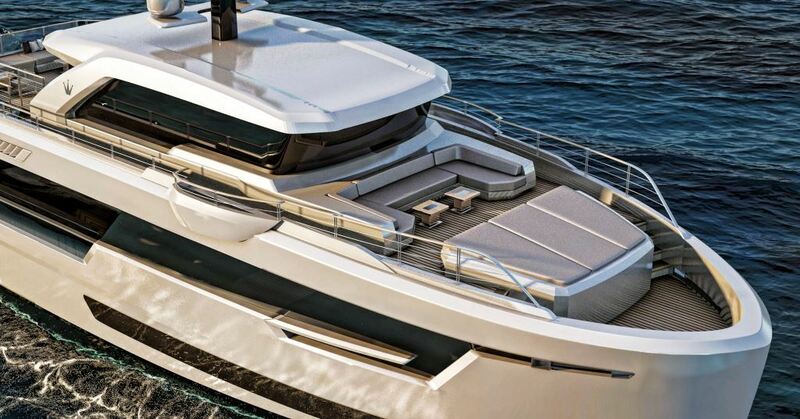 This 27-metre yacht can offer superyacht accommodation levels without the owners and guests having to live on top of each other”. 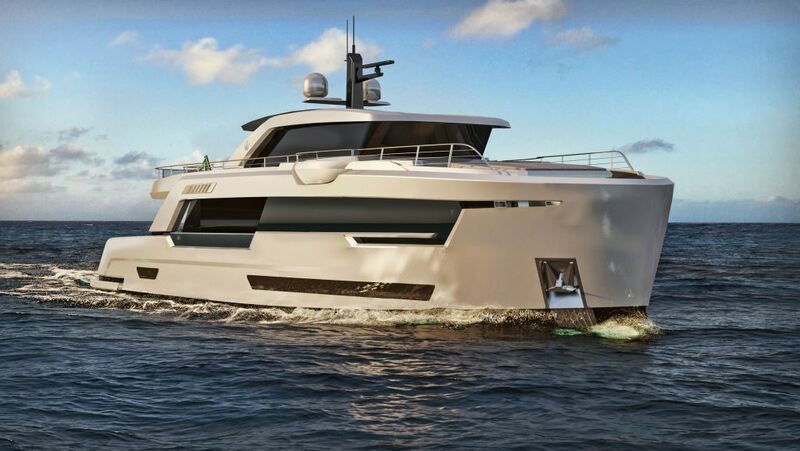 Built with a full-displacement bulbous bow steel hull and aluminium superstructure construction the Ducale 88 offers style, volume, safety, and comfort at sea as key characteristics. With 36,000 litres of diesel capacity the Ducale 88 can capably cross the major oceans with its mechanical compliment of 2 x MAN D2868 LE421 441kW engines and 2 Kohler 60kW generators providing power. The Ducale 88 is a no-compromise serious pleasure yacht with size-deceptive interior volume of 218 GT, and deck space in abundance offering close access with the sea and plenty of space for entertaining and toys. Alberto Ballarin of Ocean King comments “the Ducale 88 is a logical addition to Ocean King’s Ducale series.